Spring is coming to Nice! After the snowy episodes experienced by the French Riviera, temperatures soar! The sun is shining, the days are getting longer, the birds are singing ... The season of lunches on the terrace, picnics at the beach and cocktails in the garden of the Hotel Brice Garden Nice begins! An escapade in our 4-star hotel, situated in the city center of Nice will allow you to enjoy all the assets of "Nissa La Bella" which welcomes each year 4 million holidaymakers. 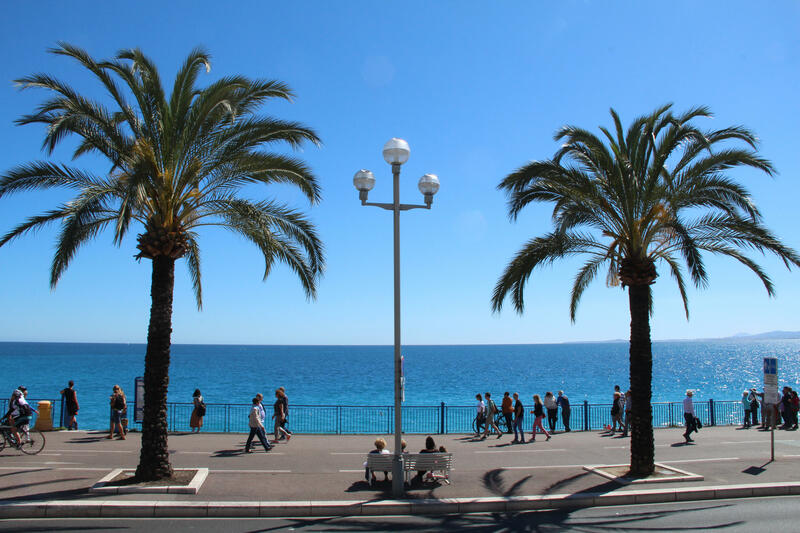 March 20th marks the beginning of Spring, so get out your sunglasses and hit the road to discover Nice! Have lunch in the typical restaurants of the Riviera capital, let the innumerable terraces of the city inspire you by strolling through the magnificent old town! On the beaches of the Promenade des Anglais, a few-minute walk from the Hotel Brice Garden, you can sit to enjoy a picnic, sunbathe, listen to the sound of the waves and give your feet a refreshing break in the water. With the arrival of the sunny days, treat yourself to one of the refreshing cocktails of the Hotel Brice Garden Nice! Enjoy a breathtaking view of the flowery garden of the hotel! Calm and safe at the same time, this garden is the best place to rest a while or to surf the Internet thanks to free WIFI. 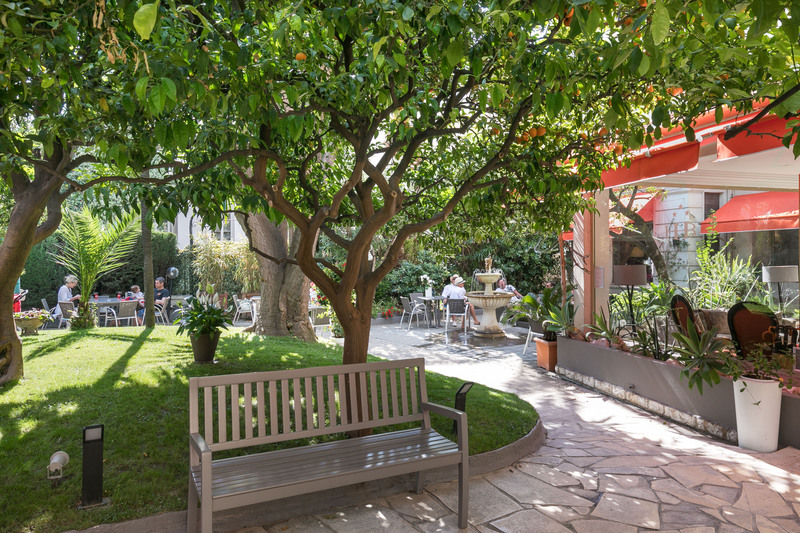 The private garden of the hotel is a green oasis in the city center that invites you to travel and day-dream. The bar service is available every day from 8 to 12 am. 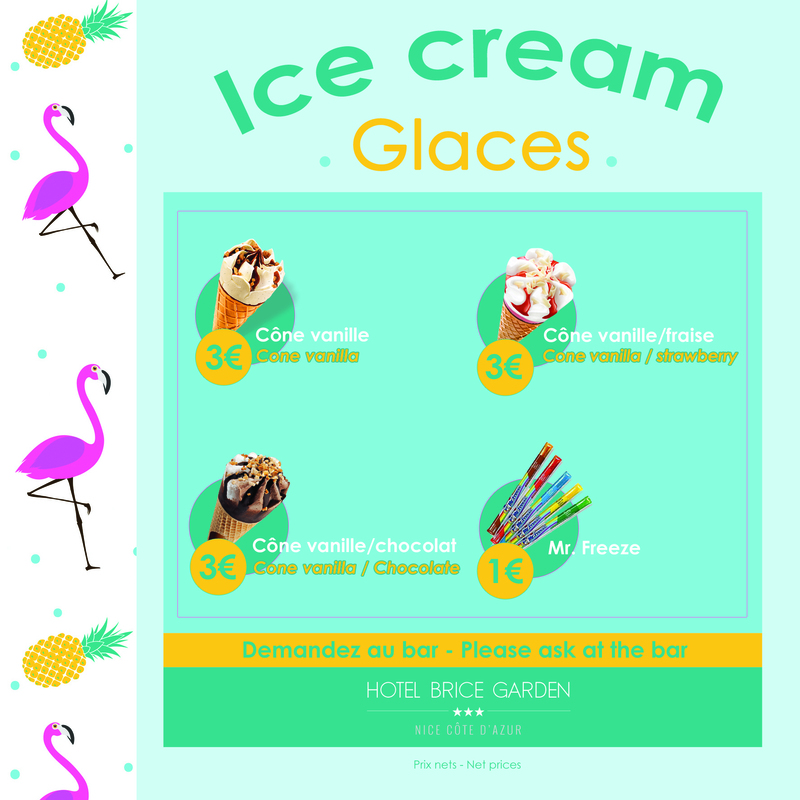 In order to replenish energy and freshen up, the Brice Garden Nice Hotel offers you a menu of ice creams with vanilla, vanilla / strawberry or vanilla / chocolate, as well as an assortment of Mr. Freeze sorbets. To accompany your meal or as an aperitif, do not hesitate to discover the pizzas served at the bar and on the terrace from 8 to 12 am. Book your stay now at Brice Garden Nice and celebrate the beginning of spring in Nice! Enjoy the arrival of sunny days to indulge yourself with Vitamin D! The first rays of sun illuminate the heart of Nice inhabitants, so why not yours?